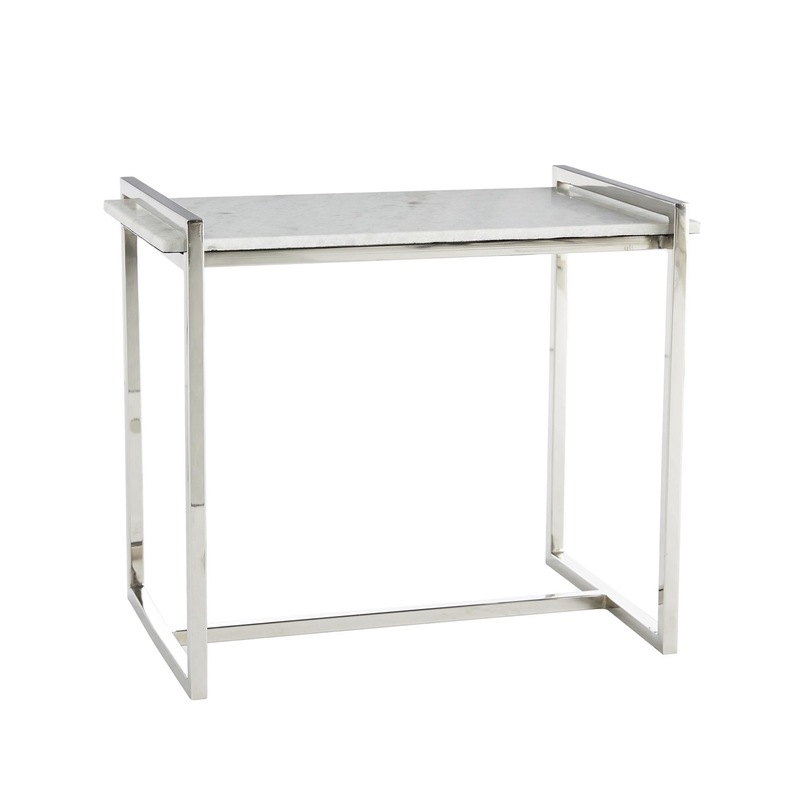 Offering the perfect blend of simple design and contemporary materials, this side table suits nearly any interior. 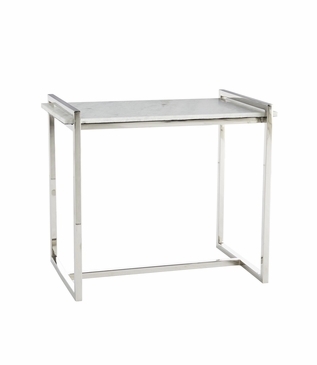 The white marble top is supported by the full perimeter of a sturdy polished steel base. 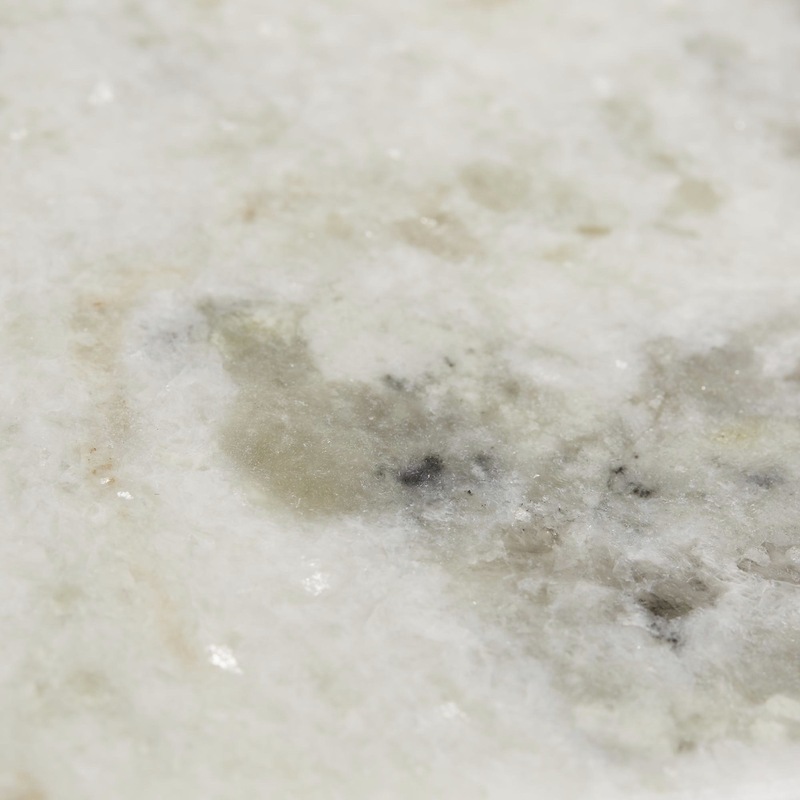 Always use coasters and felt pads to protect natural stone surfaces. 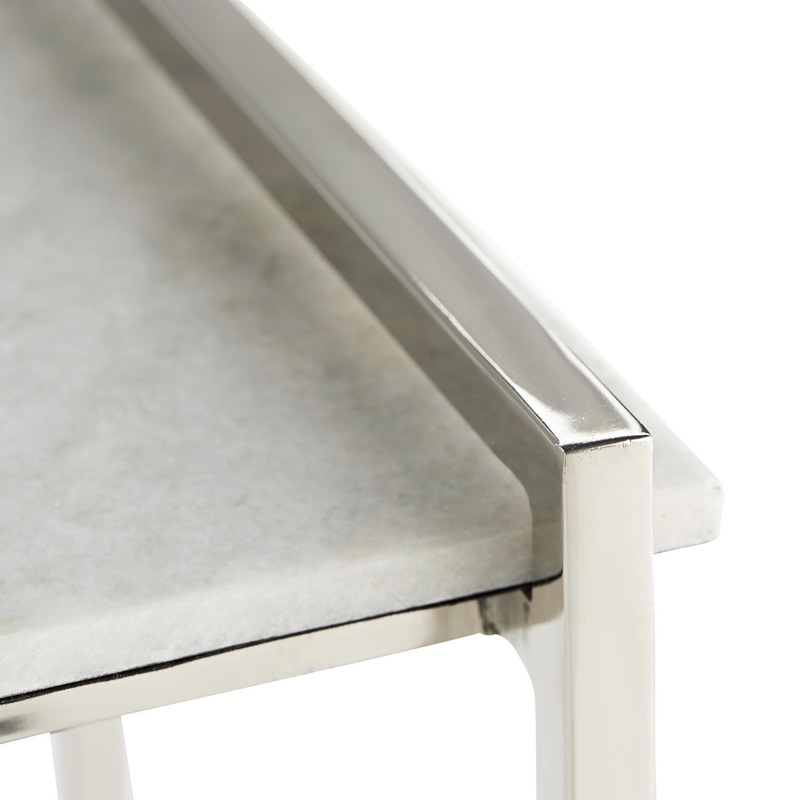 Due to the nature of handcrafted metalwork, minor imperfections should be expected and considered part of the piece's inherent character. 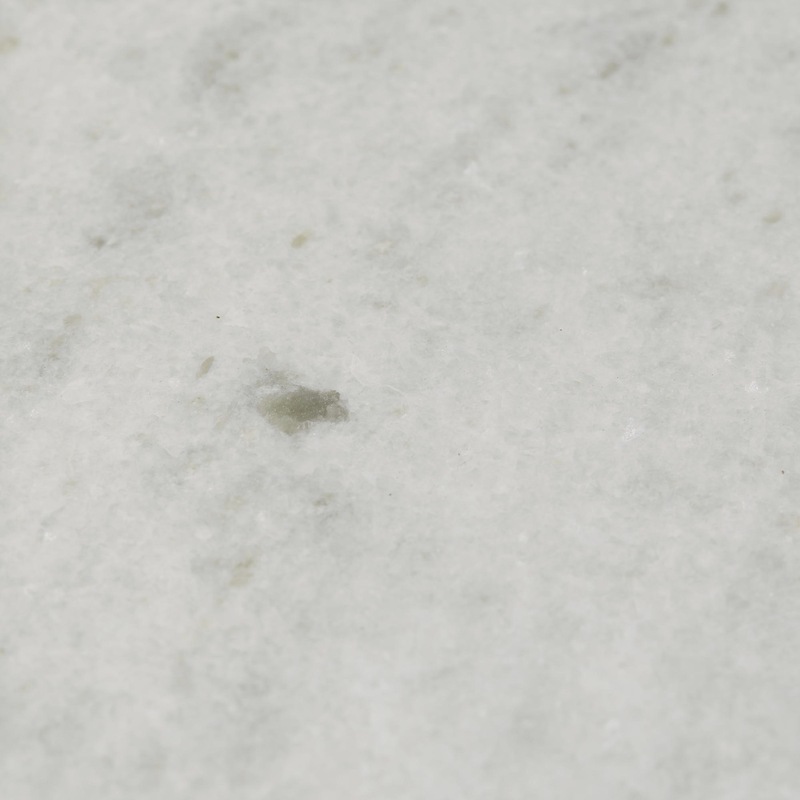 Similarly, each natural marble top will be unique in color and veining.